Use a “mastermind” group to gain career counseling online for your college student mentee with cerebral palsy (CP). That strategy would have never occurred to me before 2008. That year, an instructor introduced me to the concept of using a “mastermind” group to help me actually put into practice what I was learning through his online course about building a business on the Web. Based on that personal experience, I began asking myself, “How can individuals with disabilities tap that spirit of working together toward a common goal to gain career counseling online and eventually gain meaningful employment?" After all, I had been certified as a Global Career Develop Facilitator (GCDF) just three years earlier (in 2005) and had developed an online course, “Online Networking as a Job Search Tool” in 2007 for eSight Careers Network. I’m thinking about a process for career counseling online that is more focused, more personal and much smaller (in terms of number of members) than a “job club.” Let me explain by pointing out the need, purpose, guidelines and potential of a “mastermind” group. In many fields today, expertise is thought to be not a static condition but one that is built and sustained through feedback from others. Coaching in pro sports, for instance, holds that, no matter how well prepared people are in their formative years, few can achieve and maintain their best performance on their own. Good coaches know how to break down performance into its critical individual components, according to Atul Gawande in his October 3, 2011, article, “Personal Best” in the New Yorker magazine. 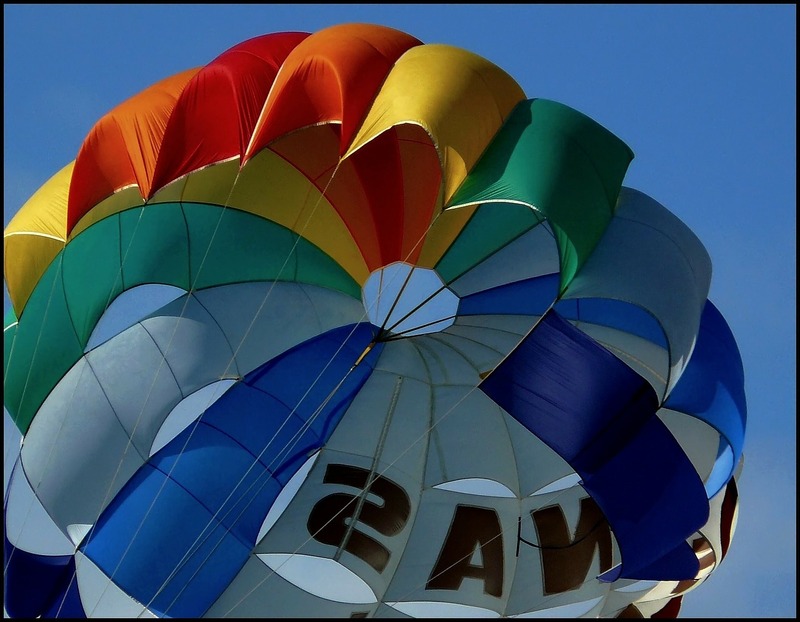 Richard N. Bolles is author of “What Color Is Your Parachute?” He says we, as individuals, don’t often see clearly who we are -- that we sometimes don’t recognize our strengths, our weaknesses, and our potential. We need honest feedback from others to clearly see all three. Bolles recommends job seekers work in teams of three to five people to discover what is not always easily evident. I believe we can meet that need by harnessing the “mastermind” concept for effective career counseling online. For your future job seeker with CP, that means collaborating with others in a personal dialogue and figuratively sitting in front of a mirror to find who each participant can be -- a process which can help each discover their work barriers and how they can work around them. When three to five people (including your college son or daughter) who are willing to mentor and support one another come together and engage in dialogue for that purpose, you have the beginnings of a “mastermind” group. Your college student needs to find “mastermind” members who have a common purpose in mind: finding meaningful work. Those members need to be willing to coordinate knowledge and effort, in a spirit of harmony, to achieve that purpose. Give: Gladly provide support, encouragement and feedback to each other. Accept: Graciously receive support, encouragement and feedback from others. In doing so, the members of a “mastermind” group build a safe environment in which to share their dreams, desires and goals; find solutions to their challenges; build self-esteem; develop strong relationships with one another; tap into resources they may not have discovered on their own; and become more accountable for reaching their goals. By directing this “giving and accepting support” purpose toward “finding jobs that are right for us,” your soon-to-be-job seeker can have a powerful career counseling online experience. Select a facilitator for the group so all meetings can run smoothly. Rotate that function among members so eventually everyone has an opportunity to share in that responsibility. Bring solutions instead of problems to the table. Understand that everyone in the group will support one another. Agree that each meeting will start on time and absences must be highly unusual. Who should your college student invite to be members of his or her group? Start with people he or she knows: college classmates, professional association members, LinkedIn members etc. Identify personal interests and strengths. Match skills and aptitudes with appropriate jobs. Frame disability as a competitive edge. Do well in job interviews. What media are available to the group? Use telephone conferencing, Skype, real-time text chat or in-person meetings. The medium is not as crucial as the guidelines for interactivity that group members choose to follow. Explore potential “mastermind” guidelines for setting up a group geared toward career counseling online. For more than two years, I was a member of a five-member “mastermind” group which formed through the help of a volunteer attendee of an online course (mentioned above). Our group included a writer, an astrologer, a psychotherapist, an Internet entrepreneur and a social worker. We were located in cities from Vancouver and Los Angles to Toronto. Three of us were founding members. Our strength was our diversity and our willingness to combine our single dreams to form a common-dream team. We sought to build our small businesses through high-profile web sites. We met every third Tuesday of each month at 5:00 p.m. CST via telephone for 75 minutes. One of us acted as a facilitator, who first asked each member for a quick recap of his or her past month’s activities/accomplishments/roadblocks and whether anyone needed extended time on the call to discuss a current issue that the group could explore. A quick wrap-up consisted of an affirmative statement from each of us about what the session had personally meant to us. Our group also used a free, private forum for exchanging ideas between telephone conference calls. GettingHired.com, where your son or daughter will find careers and community for talented people with disabilities, offers many of the tools for forming “mastermind” groups -- all for free. By simply creating a GettingHired.com profile, your college student can open a wide range of possibilities: recruiting “mastermind” group members who share common interests, starting a forum for the group and connecting with a career counselor, mentor or service provider who is willing to act as a resource for the group. “It Takes a Village: And Other Lessons Children Teach Us” is a 1996 book by First Lady of the United States Hillary Rodham Clinton. In it, Clinton presents her vision for the children of America. She focuses on the impact individuals and groups outside the family have, for better or worse, on a child's well-being, and advocates a society which meets all of a child's needs. Originally a Nigerian proverb, “It takes a village” has an additional meaning for me. I believe few people who achieve a meaningful goal do it alone. Throughout history, for most of these “achieving” people, a group of like-minded individuals (perhaps in gatherings we just happen to call “mastermind” groups in the 21st. Century) have provided the critical guidance for achievement through the exchange of ideas. That’s where you, as a parent, coach or mentor, come in for your college student with CP. You are part of his or her “village” and now may be the time to extend that village through a “mastermind” group structured to provide him or her with career counseling online.